Shadow is a super powerful Windows 10 PC, accessible anywhere, from any device connected to the internet. The project behind this revolution was born in 2015 with an ambitious vision: to create a computer free of constraints. All the processing power needed is placed in data centers which guarantees an optimal experience, without any lags, any failures, or no need to replace expensive computer parts! In only two years, Blade raised more than €60 million, officially launched Shadow in France (November 2017), made 20.000 gamers more than happy, and built an international team (Europe and US) of 110 employees. Rewind back to November 29, 2017. The entire team is getting really excited and nervous. Shadow’s launch is today! The culmination of several months of brainstorming, research, and development. To ensure that there are no problems during the launch, the Tech team has developed a new website from scratch, with an integrated shop, to replace the current site which is a basic Wordpress. 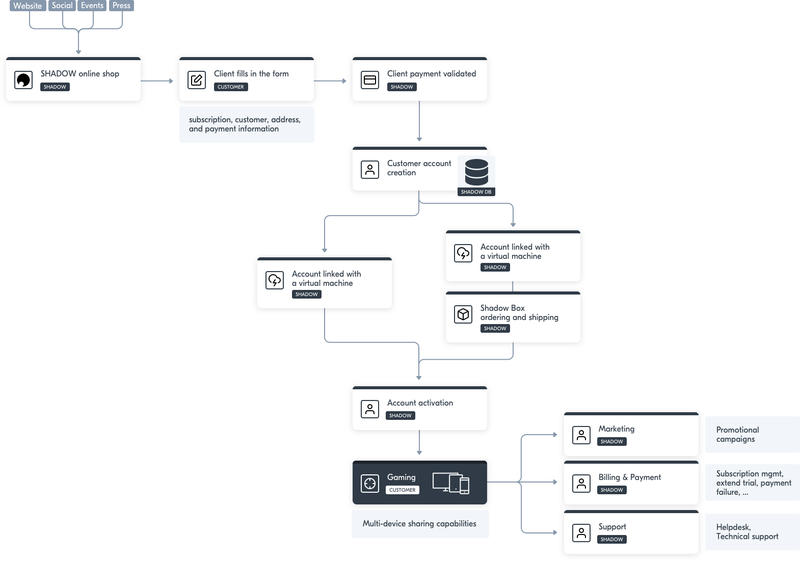 With very limited time and resources, the Team has also opted to install Forest on their MongoDB database to access and manage their data (users information, subscriptions, payments, etc.). It literally took ten minutes to Thomas Dupont, Shadow’s backend developer, to complete the installation. In just a few days, he configured all the processes and actions performed in the new back office by the different teams of the company (40 team members back then), without running into any major difficulties. Everything was set for the launch. The launch is a huge success. Way bigger than expected. In 30 minutes, more than 1000 customers are subscribing to Shadow. There are far more orders than the team can handle. It is great in terms of business. A little less in terms of support. Shadow’s processes are quickly optimized to manage the high demand for support and onboarding of new recruits. 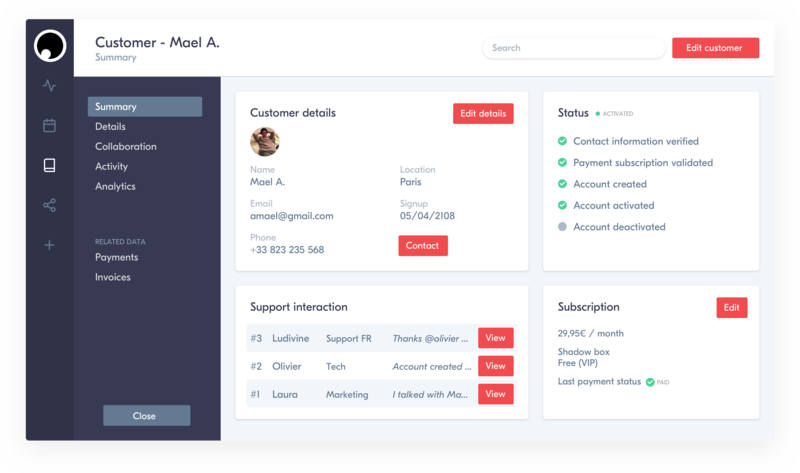 Thanks to the platform’s UX/UI user-friendliness and set of features, Thomas both effortlessly and quickly customizes his back-office’s interface. 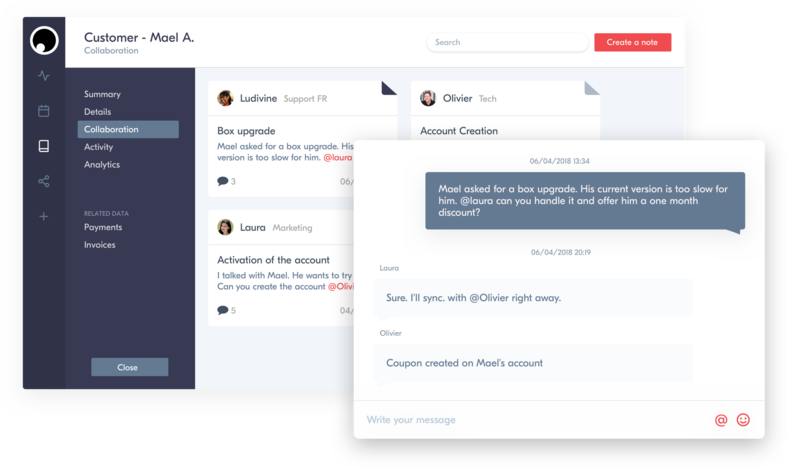 Thanks to the team management feature, Thomas also duplicates the French Support Team’s configuration (access, permissions, actions, etc.) for new country support teams in just a few clicks. As result, they can benefit from a ready-to-use interface perfectly tailored to their operations, after being automatically invited to join Shadow’s back-office. Disclosure: Forest has no access to customers’ data. Nevertheless, these fake data fit perfectly into Shadow’s business reality. 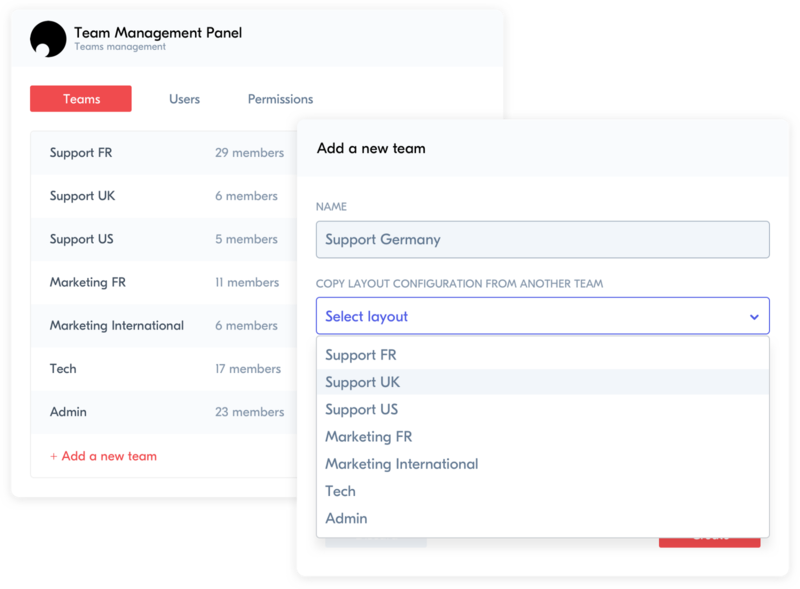 At Shadow, there are currently 100+ team members, split into eight teams (Tech, Admin, Support FR, Support UK, Support US, Support Germany, Marketing FR and Marketing International) who use Forest. In terms of operational intensity, the Support team (Helpdesk, Tech, Payment, etc.) is by far the most active of all. With now 40+ members, the team is onboarding several hundred new customers per week, while at the same time supporting their 20,000+ customer. Firstly, there is the Helpdesk team which deals with all incoming requests. They use Zendesk in association with Forest. They have access to all customers’ information (ID, address, subscription, etc.) in a dedicated summary view in order to secure all kind of communication with them and to better assist them during the support process. Depending on the permissions set, each support team member can only read the information or modify it if needed. Secondly, there is the Technical Support team. Their help is requested when technical expertise or an intervention is needed on the gamer subscription and/or Shadow box. Thanks to Forest, the team can access the customers Shadow box information (serial number, parameters, previous technical intervention, etc.) in order to better assist them. There is a third team dedicated to Subscriptions and Payments which intervenes in case of any financial complaint or problems. Ludivine IDRES, Support Team Manager, whom we had the pleasure to speak to as we were preparing this article, is part of this team. She and her team use the new collaboration feature on a daily basis to keep track of their customer relationship. By associating a note with a customer — in which she indicates the reason for a discount and who authorized it for example— she allows her teammates to have access to this information later. They are also collaborating behind the scenes with other teams (e.g. Support Tech) by simply mentioning their teammates who can help them. In parallel, the Marketing team regularly use Forest to manage their promotional campaigns and to get valuable inputs from their customer community and to monitor their company’s health. As they recently did for the Gamers Assembly event in Paris, they can create coupons to organize social media and press activation momentum and reach and retain future potential customers. 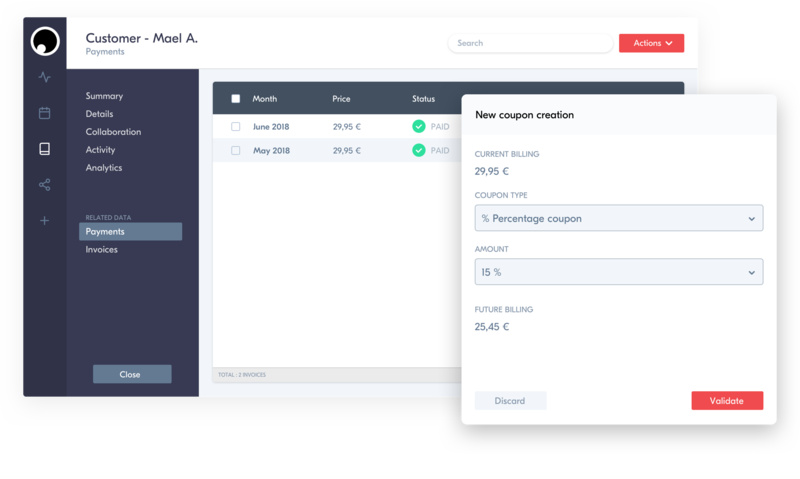 Thanks to our back-office interface, a customized smart action and a native integration with Stripe, each authorized member of the team can create a new coupon (e.g. GA2018 for the Gamers Assembly event of this year) which is directly applied to the gamer subscription. In order to keep track of this promotional action, a note with all the relevant information is added to the customer profile so anyone can access it later if needed. This is a great way to enrich their data with more contextualized content. 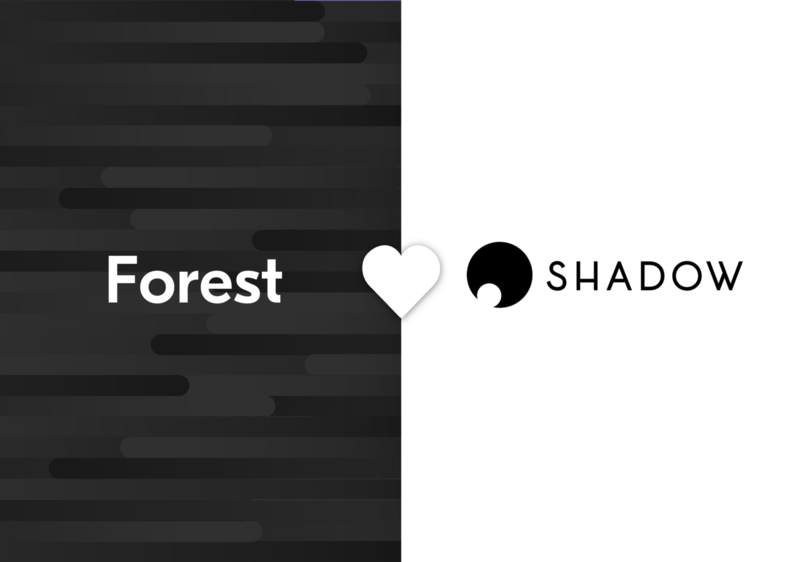 Forest has saved a considerable amount of time to Shadow’s Tech team and has allowed them to focus their energy on the customer-facing product. It has also helped the Support and Marketing teams gain autonomy and control over their processes as they strive to achieve best in class customer support and retention of their 20.000+ customers community on a daily basis. Special thanks to Ludivine, Thomas, Raphael, and Grégoire for their time! This story is part of our user success stories series, read more here. To know more about Forest, join our newsletter or visit our website to request a demo for a live presentation 🌲 You can also follow us on Twitter, Facebook, LinkedIn and Github 😍 to stay on top of our news! Stories from lumberjacks on a mission to build the best admin panel solution!